People with a GROWTH MINDSET embrace challenges, persist in the face of setbacks, learn from criticism and from others and see hard work and effort as the path to mastery. People with a FIXED MINDSET avoid challenges for fear of failure, get defensive or give up at the slightest hurdle, ignore negative feedback, feel threatened by the success of others and may not achieve their full potential. You can start today by making a few small changes. 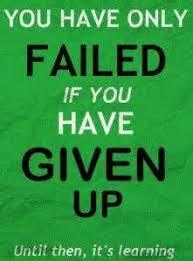 It isn't always going to be easy and it will take lots of perseverance. Take a look at some of our Class Dojo Growth Mindset videos. 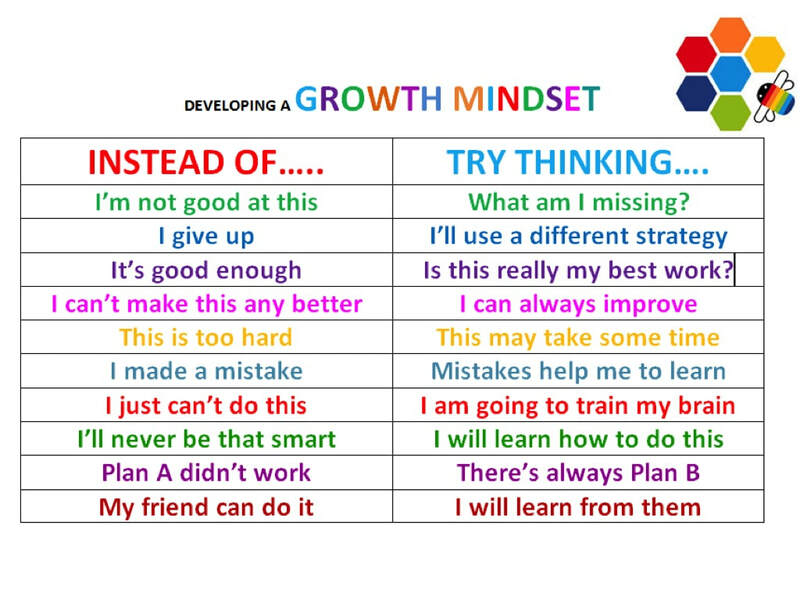 Having a GROWTH MINDSET doesn't focus on the OUTCOME or how clever someone is but rather the EFFORT and ATTITUDE that goes into achieving something.